Kurotowa: She's alive. There goes that dream. "Nausicaa of the valley of the wind" is about an epic story of mankind in the wastelands of polluted earth. Thousand years after the end of industrialized civilization mankind is once again in the wrath of nature as it is taking it's vengeance for the brutality it has received from the human. Although being an action packed adventure, the main story of the movie is one of the most humane stories ever told. 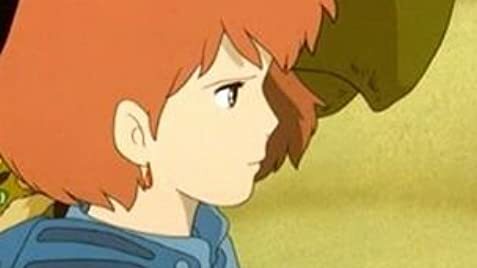 Nausicaa, one of the most powerful characters of modern motion picture, tries to find a way to make the connection between earth and human to save mankind from extinction. I will stop here for rest of the story you have to find out yourself. I can assure you that you will not regret it. And for movie lovers it is a movie that you just cannot miss. There are actually only three 100% real Hayao Miyazaki movies. They are 1.Nausicaa of the valley of the wind, 2.Laputa: Castle in the sky and 3.Princess Mononoke. All these films are considered as masterpieces of the history of animation. Of all the movies that Hayao Miyazaki has created "Nausicaa's" is the best. Many people will argue with me on that point because they have not seen the original uncut Disney version. If you are a people outside South America and speak in a different language than English and Disney's animations are available in your native language only then you can understand the quality of a dubbing of Disney. 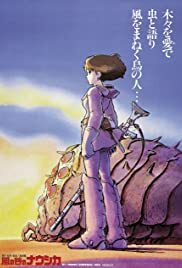 So please see the movie with the English dub by Disney, I am pretty much optimistic that you will surely say that "Nausicaa of the valley of the wind" is the greatest movie ever built. NB1: Please try to watch only the Disney dubbed movies of studio Ghibli if that is not found it is better to watch it English subbed. NB2: Try to watch the real Miyazaki movies (the three I mentioned here and whisper of the heart) in theaters or at night in a quiet place. Believe me I have tried this and I was able to understand the movies better. NB3: one of the main problems in Miyazaki's movies is the expectation. Here are some tips the three movies I mentioned here are real movies (I don't like to degrade them by saying they are animes) not cartoons. Howls moving castle and Lupin the third are animation movies and the rest are cartoons just like cars or toy story. NB4: Many people argue about the fact of watching foreign movies dubbed. I won't argue with them. I will just go with Miyazaki in the point, he told 20% of the movie will be lost if you read the subtitles instead of watching the movie. Special request: because of the kidified version of "Nausicaa of the valley of the wind" many people have rated it quite badly. So please watch the movie rate it according to your enjoyment and rate my review too.